Could Coffee Be Killing Your Productivity? For many people, coffee is work fuel. Go into any office and you’ll find most people with a cup on their desk. There’s no doubt that coffee energises people – it’s full of caffeine after all. But just how good is this drink at improving productivity? In certain situations, is it possible that it could be doing more harm than good? It’s time to spill the coffee beans and unveil the truth behind this popular work drink. Here’s why you may want to reconsider your coffee-drinking habit. The caffeine found in coffee provides an instant boost of energy that makes people more alert. It can temporarily enhance motor skills, boost short term memory and lead to faster reactions. The problem is that this caffeine hit is temporary and is often followed by a comedown. During this comedown you may experience less motivation and inhibited productivity. As a result, coffee can be great for energising you before a meeting or a physical task in which you only need a short boost of energy. However, if you’ve got a long task ahead of you such as a long report to write up, coffee might not be the best option – after a couple hours when the effects wear off you may start to feel demotivated. Some people experience ‘the jitters’ when drinking coffee. This can make people feel queasy and overly sensitive to stimuli, making you potentially more prone to distractions – which could harm your ability to concentrate. This is usually only the case after drinking too much coffee, however some people with a low tolerance may experience it after one cup of coffee. If you often find yourself losing focus after drinking coffee and feeling slightly light-headed, coffee might not be the productivity-booster for you – either that or you need to cut down on the amount of cups you’re having (too much coffee could also lead to heart palpitations and even a heart attack, so go easy!. Caffeine in coffee can also affect your sleep quality. 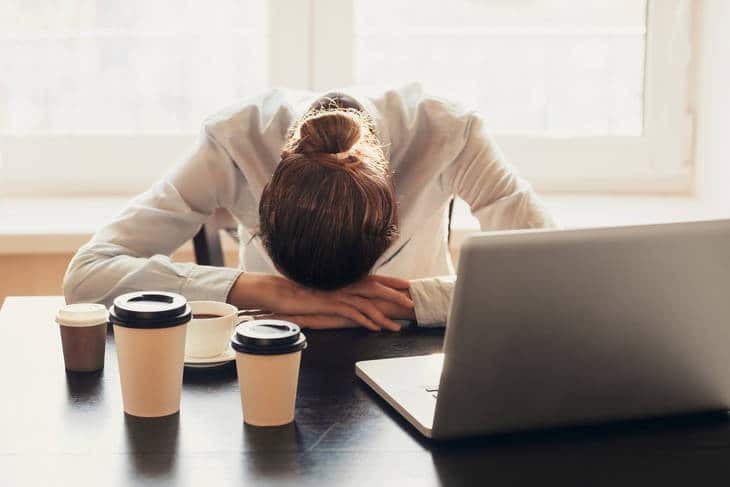 This is more a case with evening and late night coffees – this could disturb your sleep and lead to you feeling unrested the next day, making you tired and less productive. A morning coffee won’t affect your night’s sleep, however if you’re working late in the evening you may want to avoid anything caffeinated. There are lots of alternatives to coffee worth trying that could provide the energy boost you’re looking for. Plain water is often underrated – downing a cold glass of water can be great for energising you without the comedown. Look into office water delivery – you may be able to get flavoured water and even caffeinated water. Other drinks such as juices could also provide an energy boost. Exercise meanwhile is also an effective productivity booster. Physical activity provides a fresh source of oxygen to the brain and a flood of endorphins that combats stress. All it could take is a brisk walk on your lunch break or even perhaps some desk-ercises as you work.